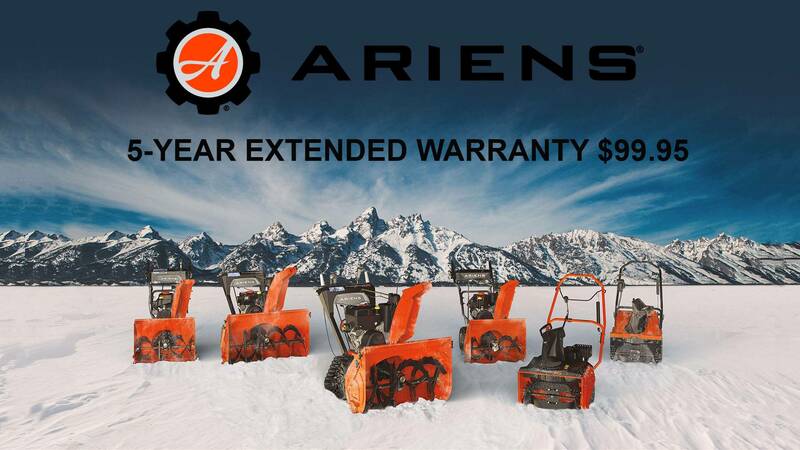 Ariens USA - 5-Year Extended Warranty $99.95 Promotion - Ariens USA | Available at Pat’s Motor Sports Inc. Extend your Ariens Sno-Thro® Warranty to five years for unparalleled peace of mind. So when it comes down, you'll know that Ariens will back you up.